When I sit down to read a camera manual, my expectations usually aren’t very high. In the best case scenario, it is simply a tedious read. In the worst, the sections are unorganised, critical information is often missing, and the technical language is too complex for the average amateur. 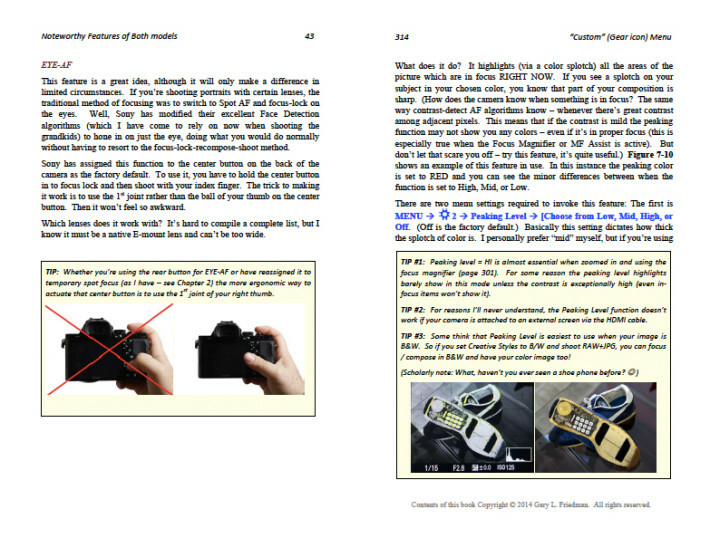 Fortuitously, this is not the case with The Complete Guide to Sony’s Alpha 7 and 7r by Gary Friedman. In 612 image and information-rich pages, Gary covers every aspect of Sony’s first full-frame interchangeable lens cameras, from the basic functions to less-obvious tips, tricks and shortcuts that even the Sony manual doesn’t touch upon. 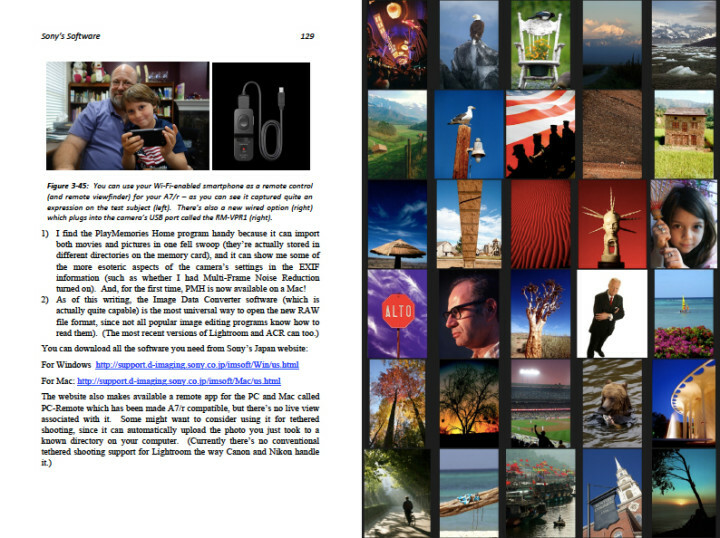 Gary Friedman is highly qualified to be the writer of this book, or any book that concerns photography for that matter. Originally a rocket scientist for NASA, during which time he patented the image authentication system used by Nikon and Canon, he later graduated to photography and has since been featured in various magazines, newspapers and books worldwide. He currently runs his own stock image website FriedmanArchives.com, is the associate editor of CameraCraft magazine, and holds photography seminars around the world. He is also the author of a number of popular e-books on digital imaging. Despite his many qualifications, he comes across as a very genuine and humble person in his writing and in my interactions with him, two rare qualities among high-profile professional photographers. 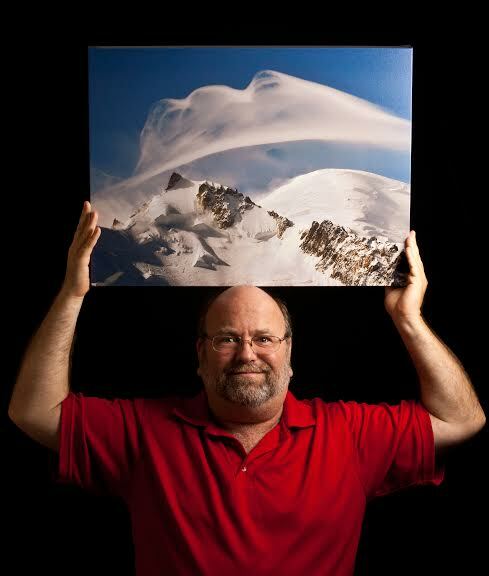 Gary Friedman has conquered Mont Blanc! This particular book is intelligently divided into four main sections: the first gives you a quick overview of the Sony A7/r cameras, the second discusses his personal camera settings, the third is a “Quick Guide for the Impatient User” and the fourth (comprising a number of chapters) takes an in-depth look at the A7/r and its many functions. The book ends off with a list of digital imaging topics and resources for those looking for further information, as well as two Appendixes. If your aim is to come to grips with the basic functions of the A7/r, you’ll probably find yourself satisfied with the Quick Guide and the author’s personal camera settings found at the beginning. However, if you the sort of person who needs to cover every facet of a new camera before taking it out for a spin, Gary has got you covered. From Chapters 4 to 14, he takes you through all the important functions of the A7/r, with full chapters dedicated to WiFi/NFC, High Dynamic Range, Movie Mode, Legacy Lenses and more. If he has missed mentioning anything of even minute importance, I would be extremely surprised. Note: This is not the kind of book you’d read from start to finish as you would a novel. Despite the colloquial tone, it remains very much a manual in that you’d be more likely to flip to a specific section to refer to a topic you don’t understand than read the entire publication. 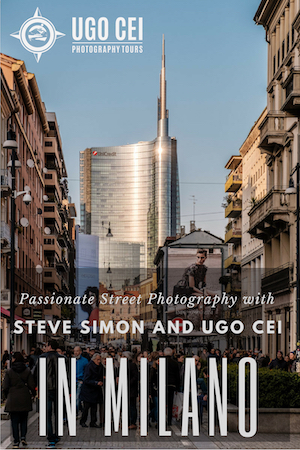 While intended for experienced photographers, Gary’s approachable and almost conversational writing style makes this book easy to follow even for those with minimal experience. I would not recommend this book to a absolute beginner, as Gary assumes you already know the basics of photography, but this isn’t an issue as it is unlikely that a novice would own an A7/r anyway. For those who do need a refresher on the technical fundamentals, one can refer to the useful Appendix A at the end of the book entitled A Condensed Guide to the Basics. In keeping with the informal tone, Gary also uses many casual photographs throughout the book to explain concepts, functions, picture profiles and so on. Many are of his friends and family or items around the house, while others still are of the author himself in amusing poses. (It is refreshing to see a professional photographer of Gary’s competence not take himself too seriously!) Of course he doesn’t fail to include many of his more professional images, most of which can be seen in the form of a collage at the beginning of each chapter. I believe his choice to mix professional images with casual ones was intentional, as he knows that many of the readers of his book are probably amateurs, and will be using the A7/r primarily for family and travel photography. At the same time, his professional photographs show the reader just what this camera is capable of delivering when in the right hands. 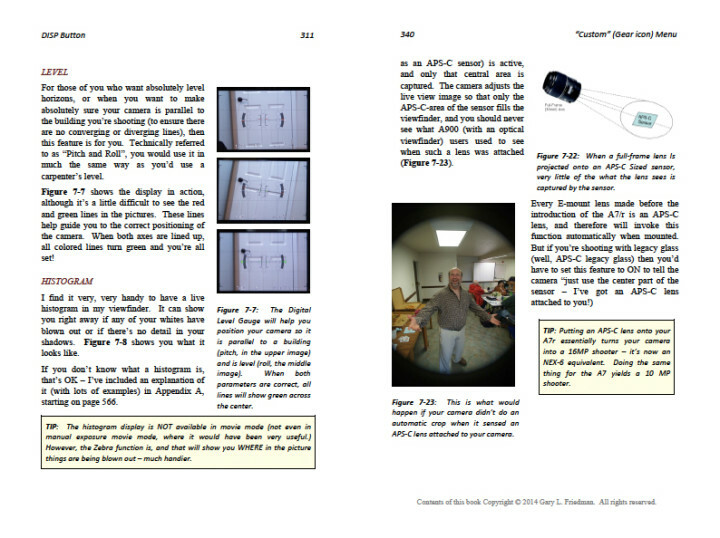 The book is also littered with diagrams to make the technical parts of the book more visual and digestible. Being a visual person, I often found myself analysing the diagrams when a written concept wasn’t completely clear to me. Something I love about this book, and would recommend that official manuals include from here on as well, are the helpful yellow ‘tip’ boxes that frequently appear in each chapter. They will usually contain either Gary’s honest two cents about a specific topic, or a hint to help you more effectively use a given function. Sometimes he will suggest an improved button configuration. Other times, he’ll point you in the direction of a handy shortcut or an external Internet resource with a clickable hotlink. If you need proof of the sheer time and energy the author has put into making this book as thorough as possible, these tip boxes are it. It is true that this book has been written for A7 and A7r users but I have also found it handy for the recently-released A7s, as most of the camera configurations are identical. 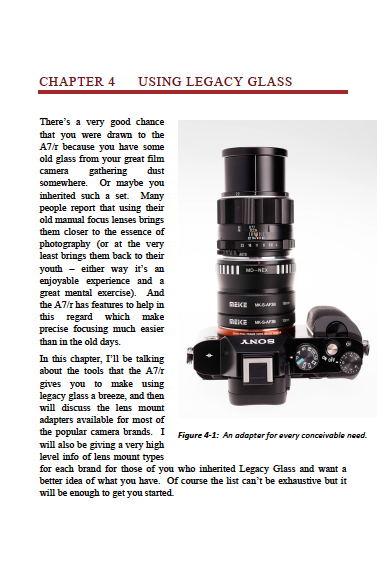 For instance, when we were looking for a good Nikon adapter for the A7s, I found it extremely useful to refer to the book’s extensive chapter on Legacy Lenses, a topic that applies to all three cameras. It would be interesting if Gary decided to update the book in the future to include some of the important features of the A7s as well, such as its high ISO capabilities. 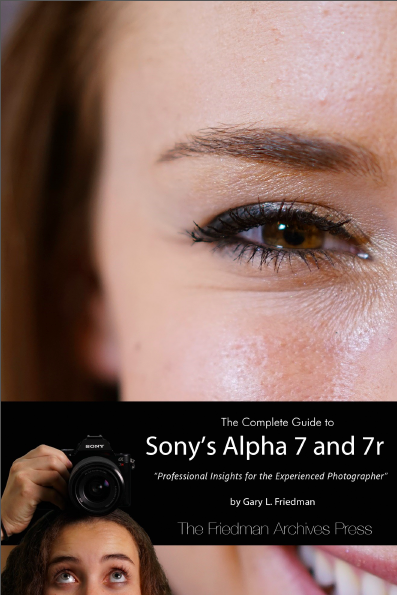 You may well be satisfied with the Sony A7/r manual that came with the camera, but if you really want to know your camera inside and out, The Complete Guide to Sony’s Alpha 7 and 7r is the ultimate book to have in your collection. For the small price you pay, you receive in return a wealth of information that will help you demystify your new camera and get the most out of it. You can buy the The Complete Guide to Sony’s Alpha 7 and 7r in two different formats: either as an electronic bundle that can be viewed as a PDF, .mobi file (Kindle) or .epub file (Nook or other e-reader) for only $29.99, or as a hard cover book for traditionalists.